I’m paraphrasing a friend’s question on her Facebook page last week. The short answer is…because we’re human. Despite that fact, we also believe we have unlimited time ahead of us. A lot of people realize this – for good – when they reach middle age. It’s not so much the passing of their parents – they’re older and it’s “expected”. It’s the deaths of their friends that shock them into action. Sayan Sarkar is President and CEO of InvigorateNOW. He’s a young man with a winning smile. 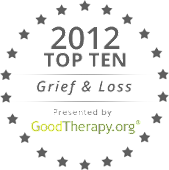 He recently wrote an article for Huffington Post, “How Grief Can Be An Impetus For Change”. He wrote of his best friend from college, who died suddenly at the age of 23. They’d fallen out of touch; not intentionally, but just in the way friends with busy lives fall out of touch. As is often the case these days, he found out about his friend’s death in a Facebook message that went out to his fraternity brothers. Most people his age aren’t confronted with this kind of reality. But Sarkar channeled his grief to “continue my pursuit of happiness”. In less than a year, he’s almost lost 55 pounds, quit smoking and alcohol. He’s started a side business to share his passion for health and charity. And though he admittedly still struggles sometimes, he makes a conscious effort to connect with loved ones – family and friends – consistently. How about not waiting until grief knocks you down? How about seizing the day today?